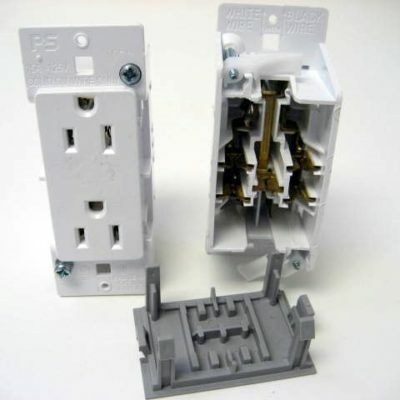 Find electrical outlets, light switches, snap on fixture plates and more. 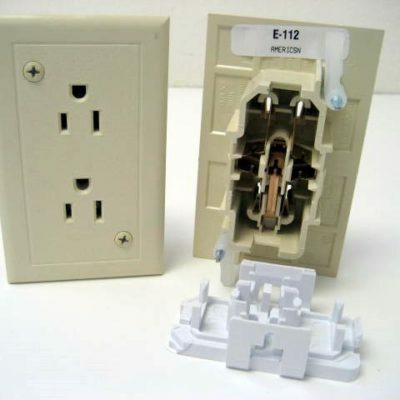 Ivory decorator outlet clamps to wall with 2 clips that are tightened with a phillips screwdriver. Plate E-104 included. 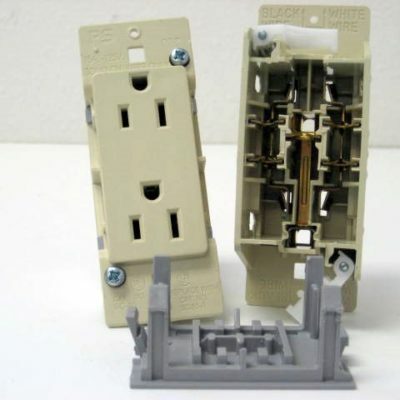 White decorator outlet clamps to wall with 2 clips that are tightened with a phillips screwdriver. 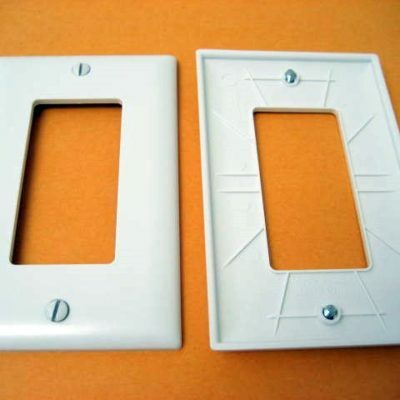 Replaces style with built-in plate. Separate plate included. 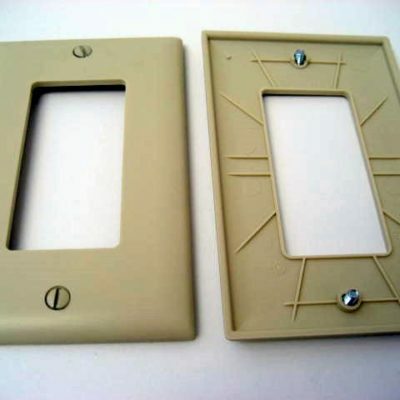 Ivory decorator light switch clamps to wall with 2 clips that are tightened with a phillips screwdriver. 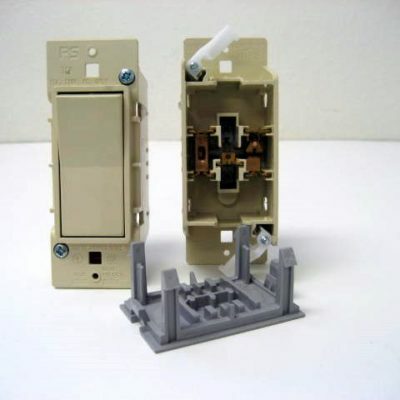 Plate E-104 included. 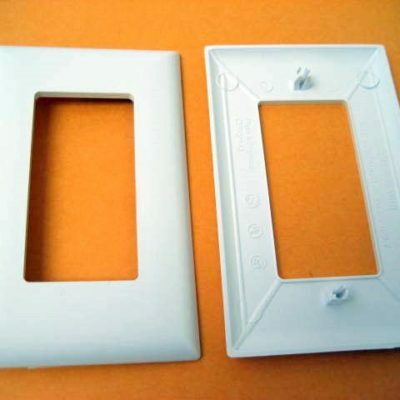 White decorator plate mounts to outlet or switch with 2 included screws. Measures 3″ x 4.75″. 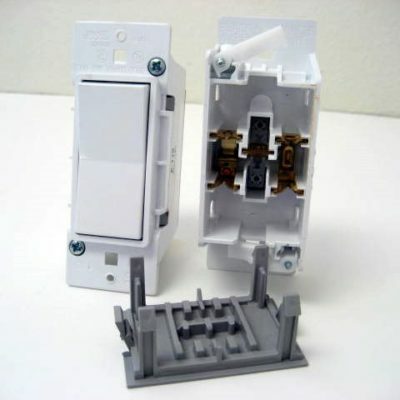 Ivory decorator plate snaps to outlet or switch. Does not use screws. Measures 2.75″ x 4.5″. 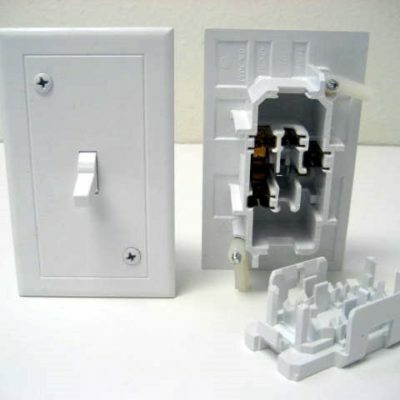 White decorator plate snaps to outlet or switch. Does not use screws. 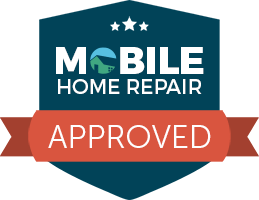 Measures 2.75″ x 4.5″. 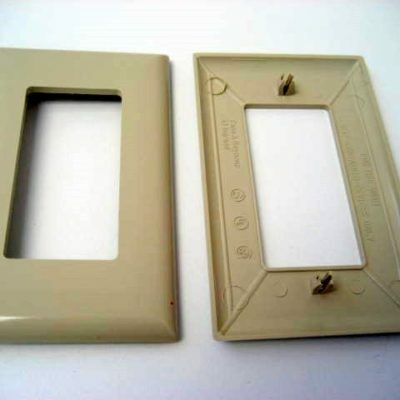 Ivory decorator plate mounts to outlet or switch with 2 included screws. Measures 3″ x 4.75″.